The old fishing village of New Quay is home to a wide variety of family activities both on land and in the sea. New Quay beach is good for family swimming and it is also home to Cardigan Bay watersports. New Quay was once made famous by the poet Dylan Thomas who used to drink in the local pubs. In 2007, the film ‘The Edge of Love’, starring Keira Knightley and Sienna Miller, was filmed in and around this traditional Welsh seaside town. Try fishing for mackerel from the quay or take a dolphin-watching boat trip out into Cardigan Bay. If you prefer to keep your feet on dry land, then why not visit the museum or sit outside one of the local cafés or pubs and watch the sunset over the sea? 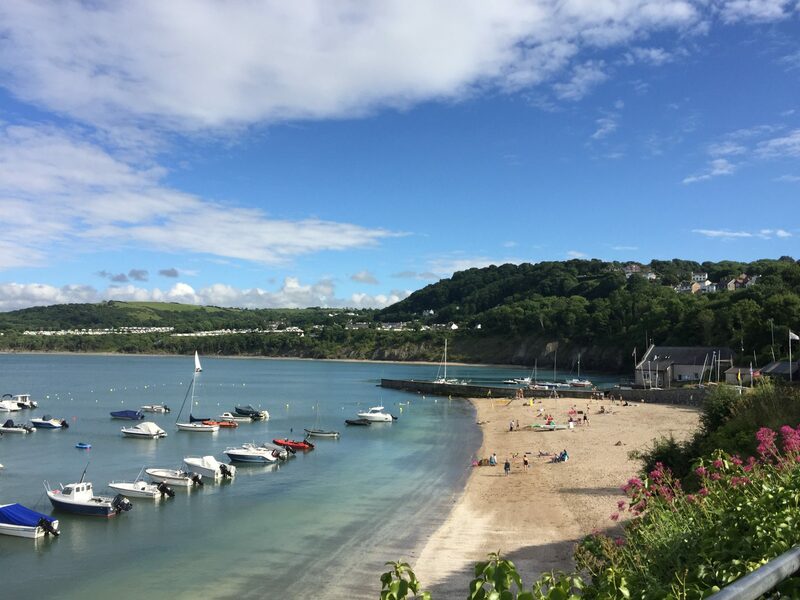 With swimming, ice cream and fish and chips close by, it’s easy to spend a whole summer day on the beach at New Quay. If it’s not beach weather you can follow the trail of the famous poet Dylan Thomas around the town. Visit the Cardigan Bay Marine Wildlife Centre to find out more about the dolphins and other marine wildlife in Cardigan Bay. Learn about the secret life of bees at New Quay Honey Farm and take home some local wildflower honey.